Men often prefer to create movement and volume in the top section of the hair, and keep the sides slightly shorter. The longer upper section is more mouldable and can be shaped into the style of your choice. Whether you use a styling product or strong hold gel, it’s up to you how you create dishevelled hair that is full of body. The hair. Short sides with a longer upper section. 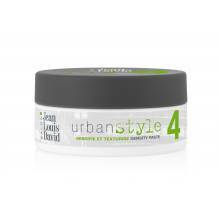 A strong hold product is great for creating any style you wish and keeping hair looking full all day long. This style is perfect for anyone wanting to show off a sculpted, sophisticated look by day and night. The advantage of such a hairstyle is demonstrated perfectly by our streetstyle pick today. He has created a retro wave ,which can then be moulded into a nice floppy sweeping style the next day. This season’s trend is all about big, voluminous hair, whether it is combined with spikes or a masculine quiff held by styling gel. The look. The dandy-modern trend. Showing off his photographer credentials, he has slung his camera around his neck to create a unique accessory. A blue-checked suit acts as the staple piece of this outfit. 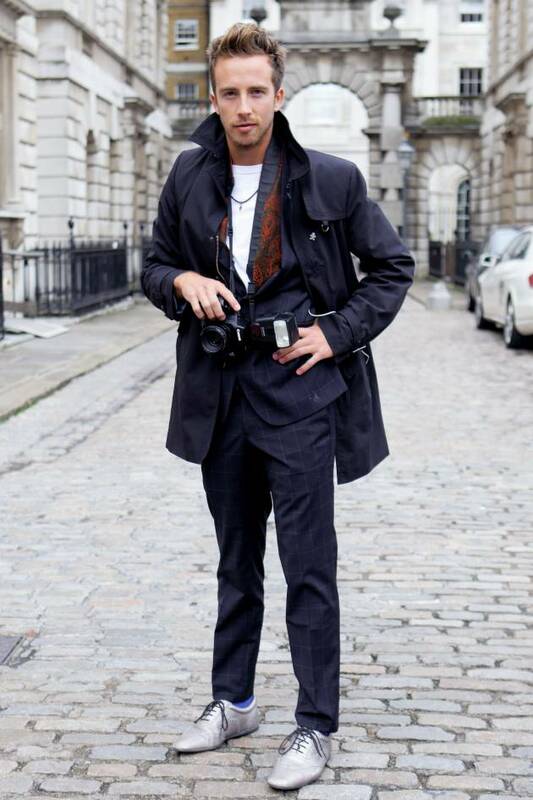 On top, he wears a dark trench coat which adds the finishing touch to his elegant, working-man look. His metallic grey brogues add personality to his, otherwise, simple outfit. Tip of the day. At your hair salon appointment, ask for a layered haircut so that you can vary your hairstyle as and when you like. Create both movement and structure for your style by using styling products, or wear your hair in a side parting for added body.